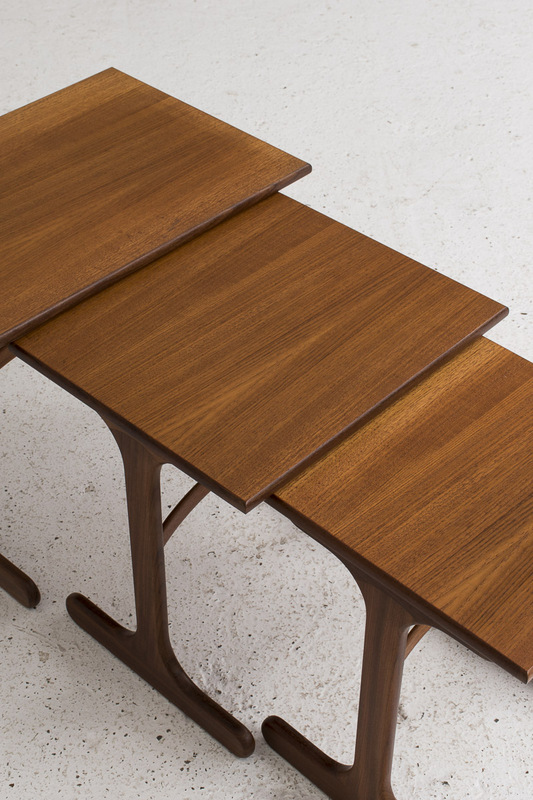 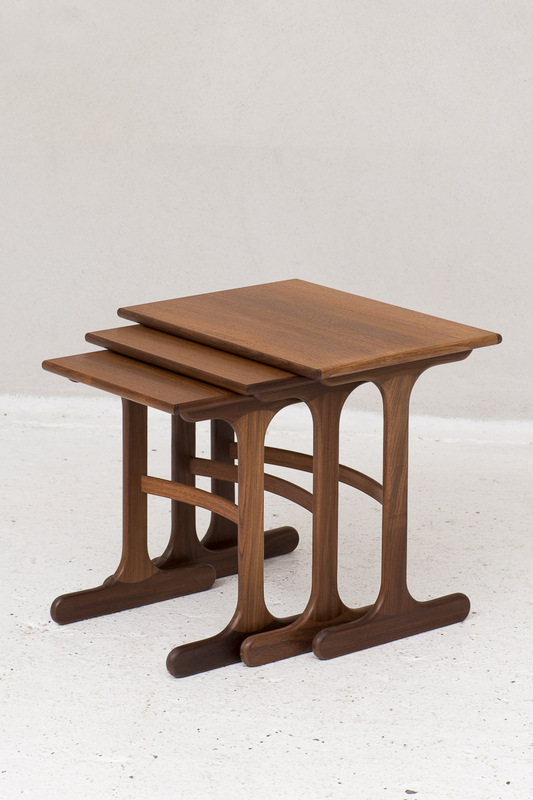 Set of 3 ‘Fresco’ nesting tables designed by Victor Wilkins produced by G-PLAN in the United Kingdom around 1960. 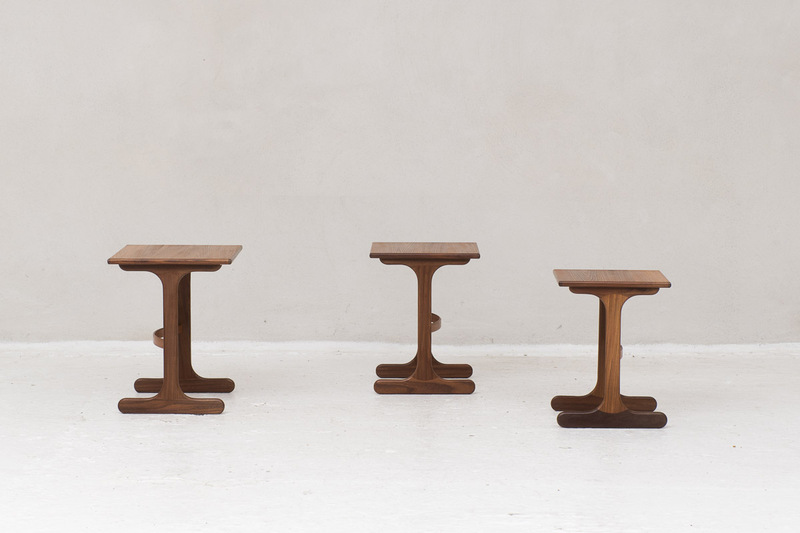 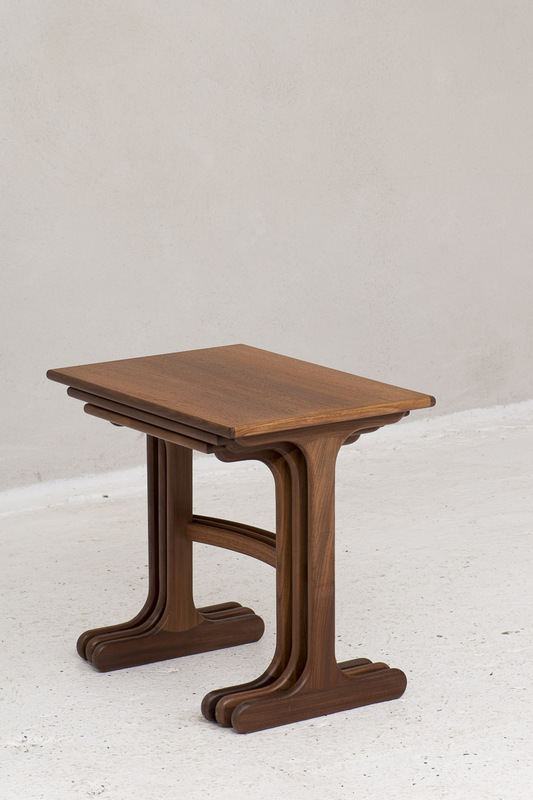 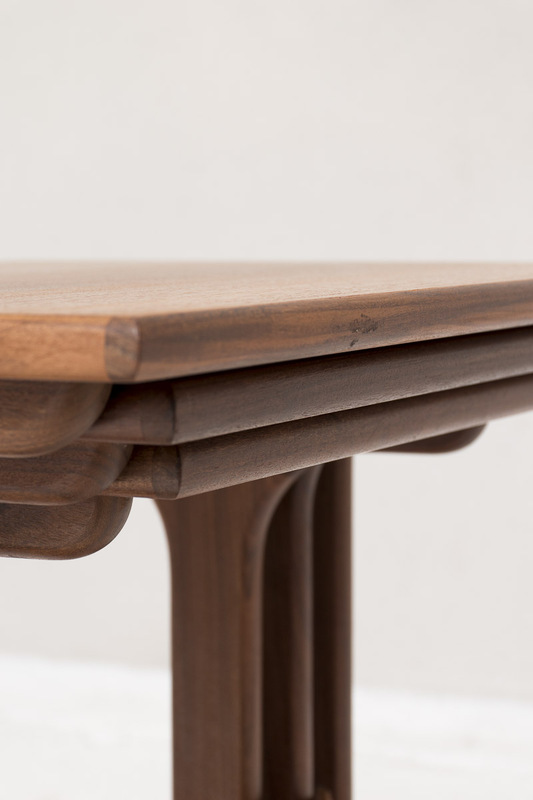 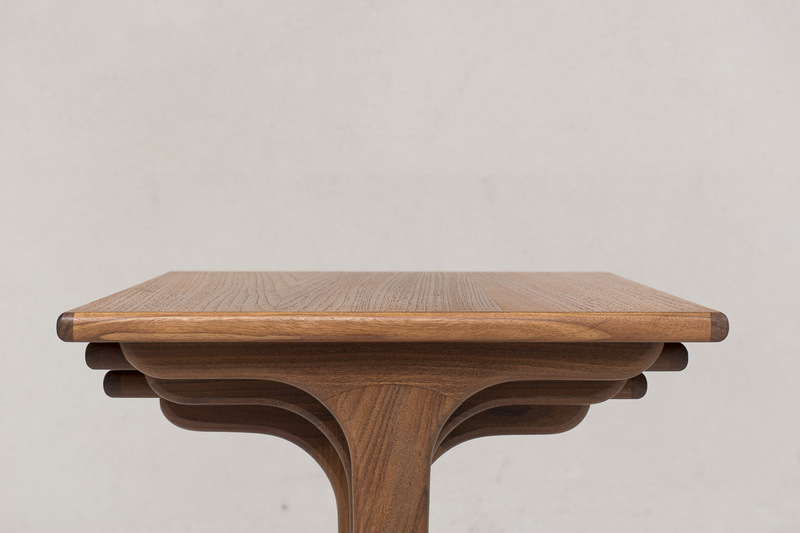 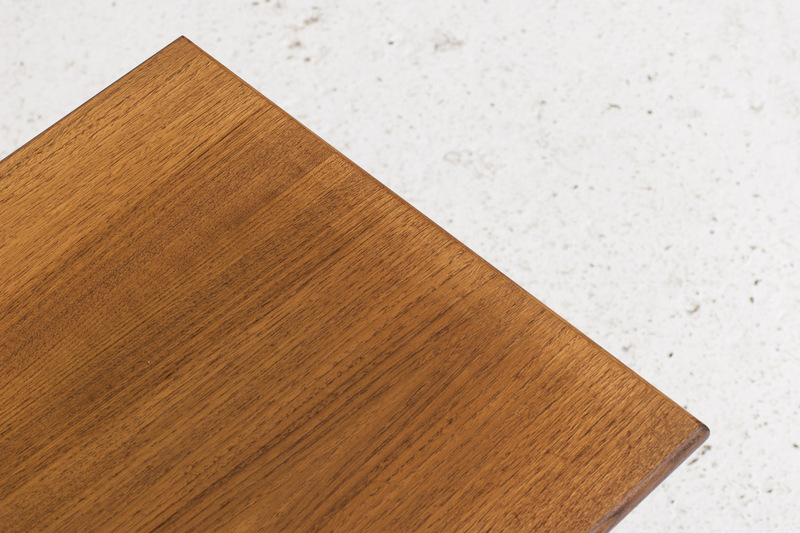 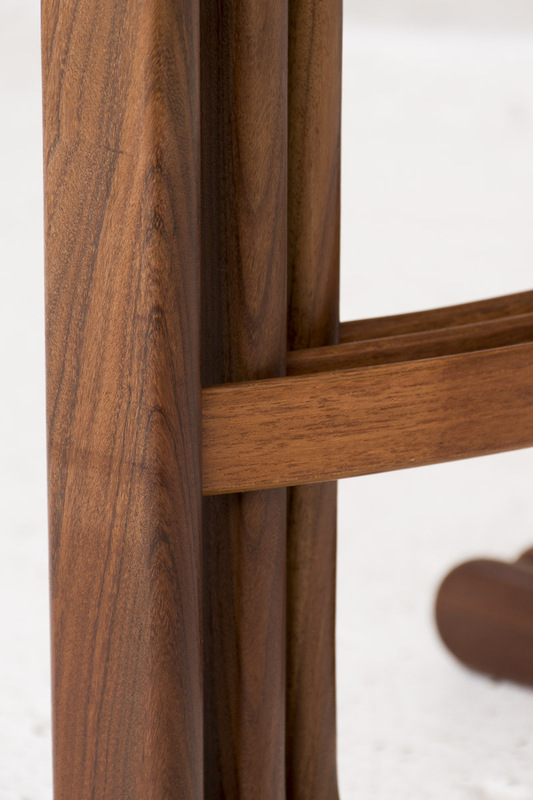 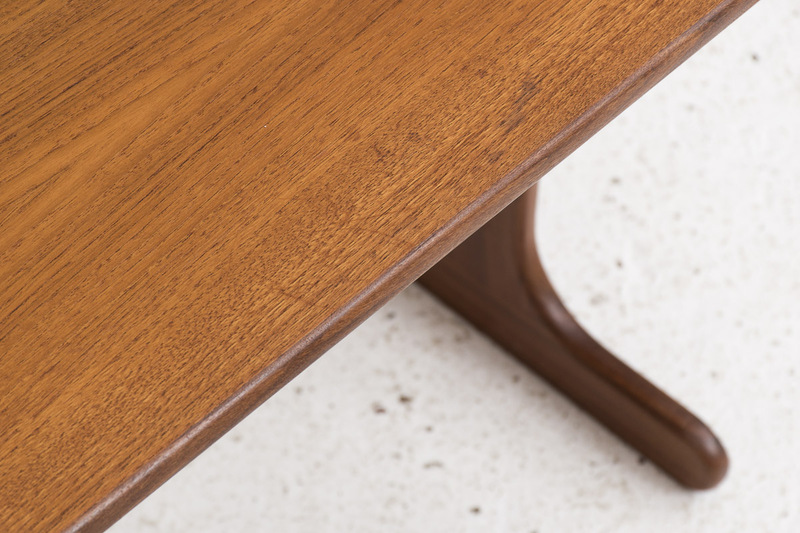 The tables are in solid teak and teak veneer. 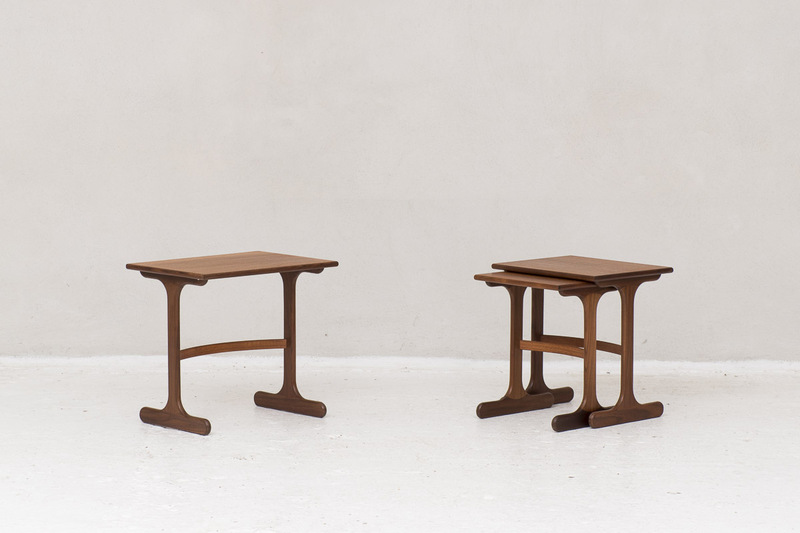 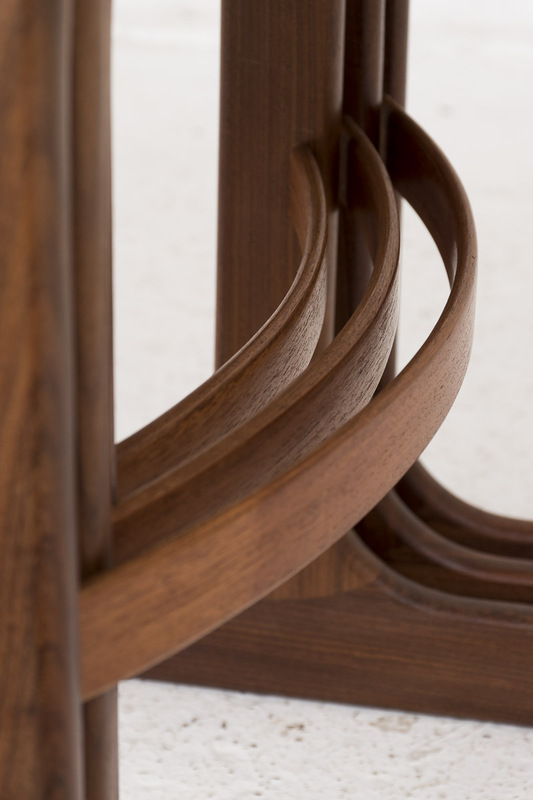 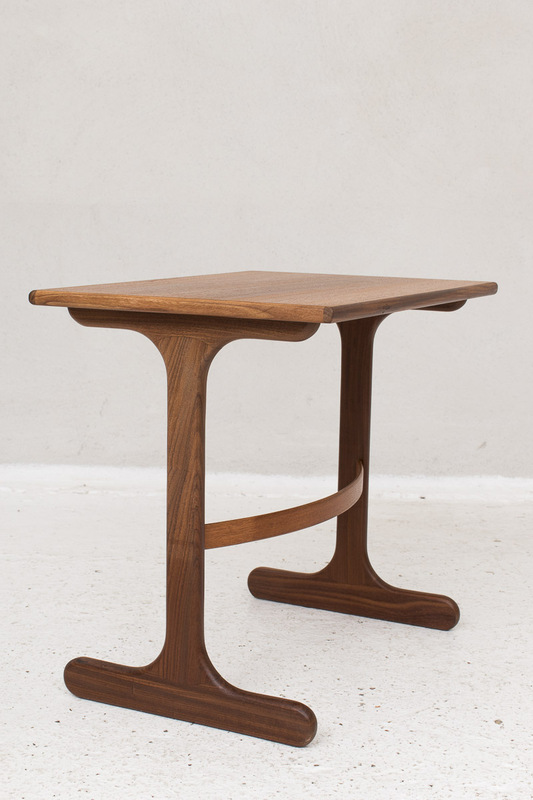 The legs are connected by a curved stretcher and rest on elegant pedestals. 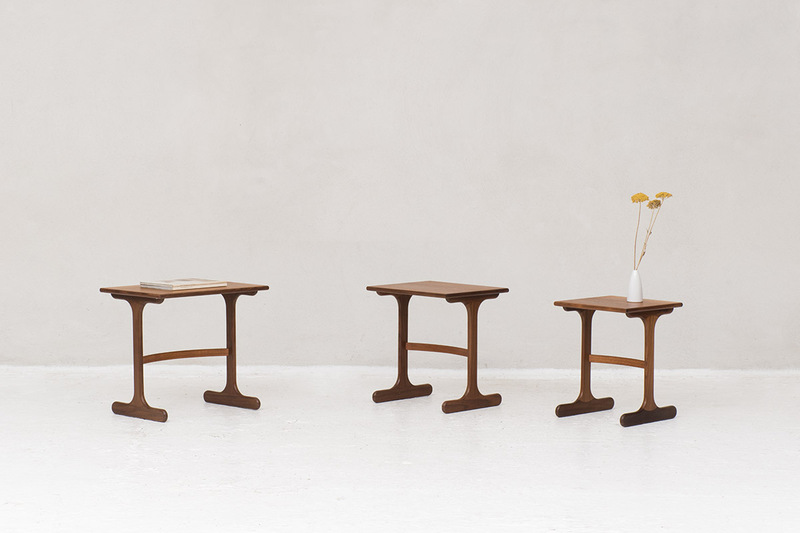 The tables can be arranged individually. 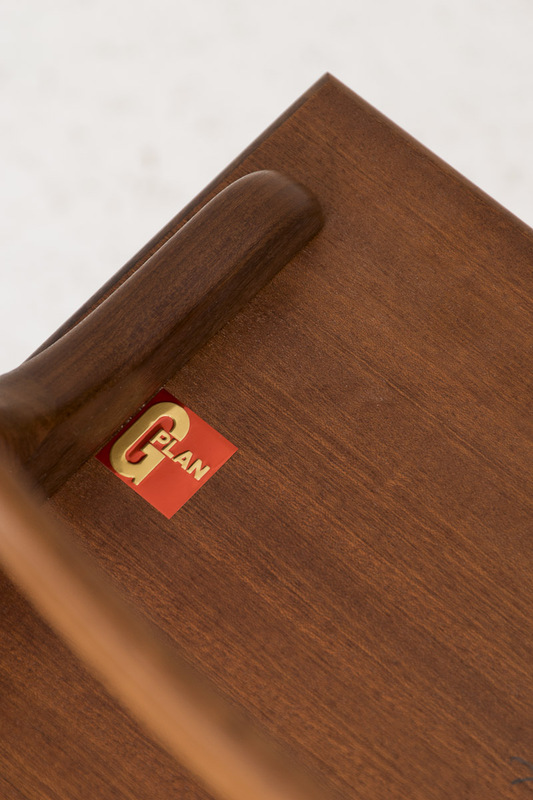 The set is in very good condition and carries a G-PLAN mark.